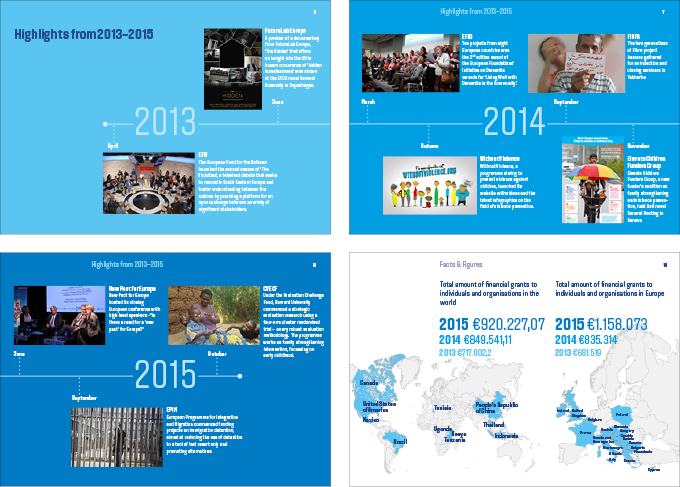 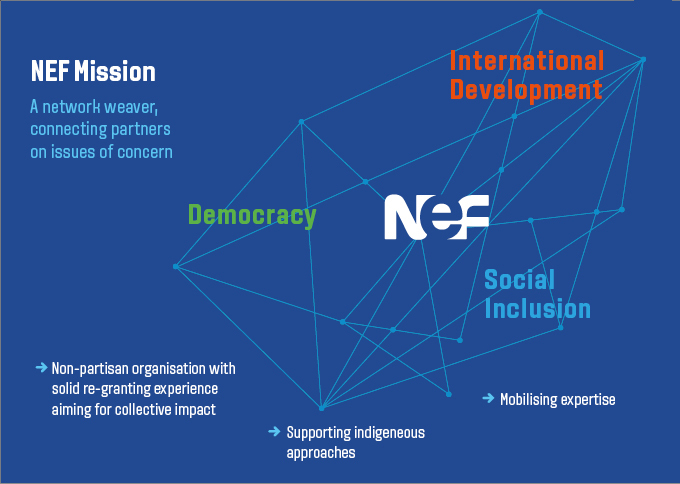 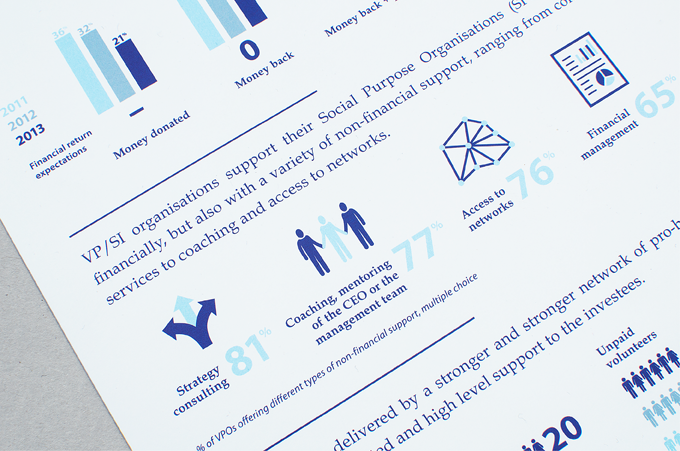 Concept and design of an image brochure for EVPA / European Venture Philanthropy Association. 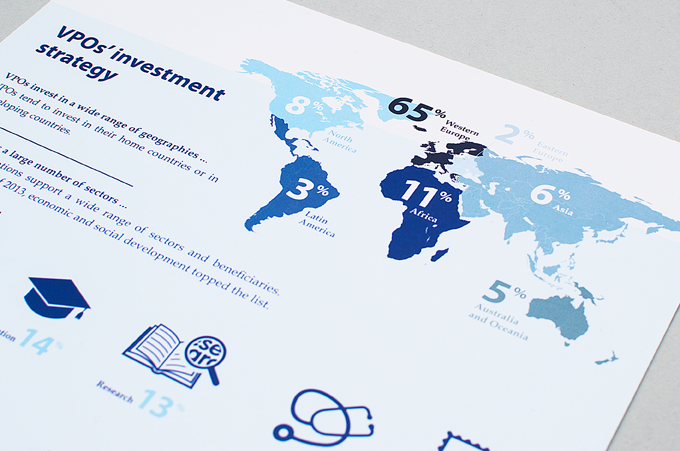 The elegant portrait format and gatefold cover printed on soft-touch paper give the brochure a particular charm. 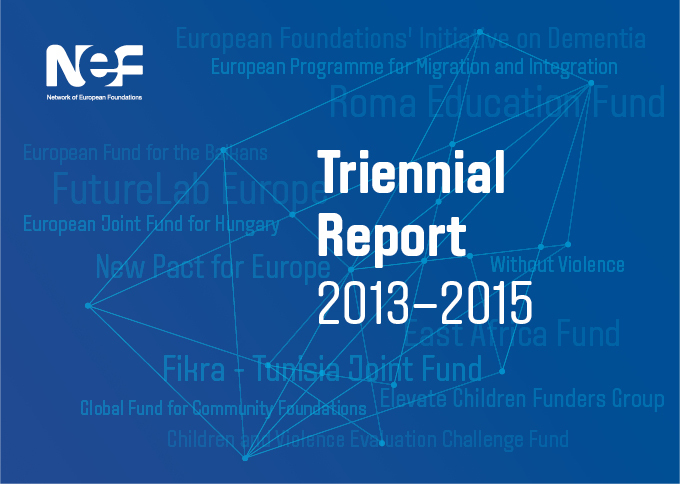 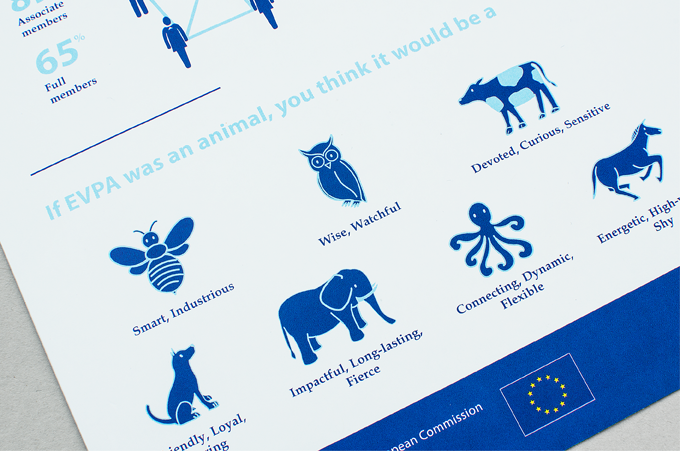 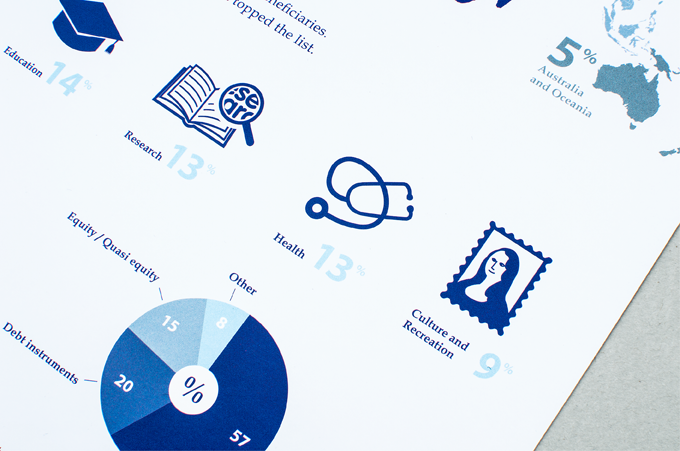 To vividly illustrate and communicate EVPA’s activities, we created a series of pictograms.